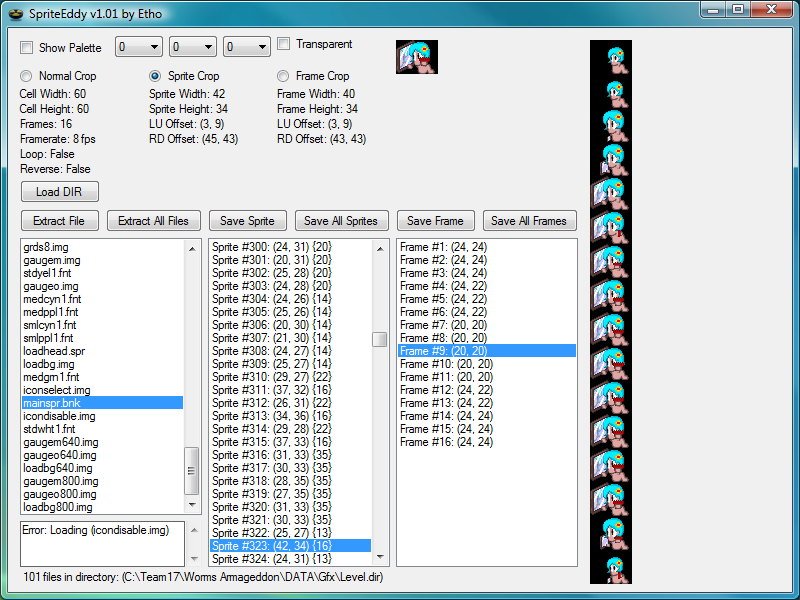 SpriteEddy is a directory decoder, very similar to Fudge Boy's WA directory editor, which allows the extraction and conversion of the graphical images used by various Worms games. Information about each sprite is displayed; such as its width and height properties, cropping information, frame counts, frame rates, description, etc. This page was last modified on 17 December 2011, at 17:51.